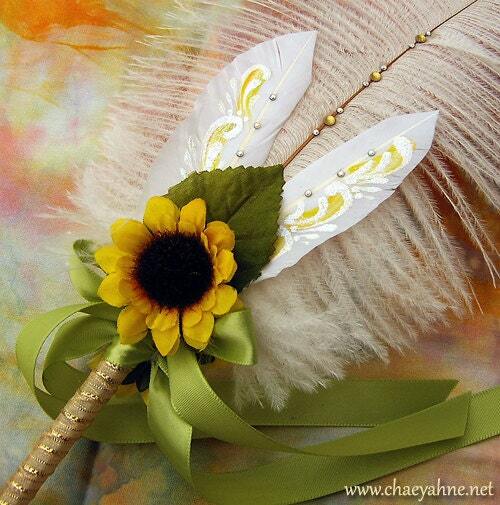 Designed using a white ostrich plume & 2 snow white goose feathers, tole painted in pale yellow, spring green & faerie dusted white. 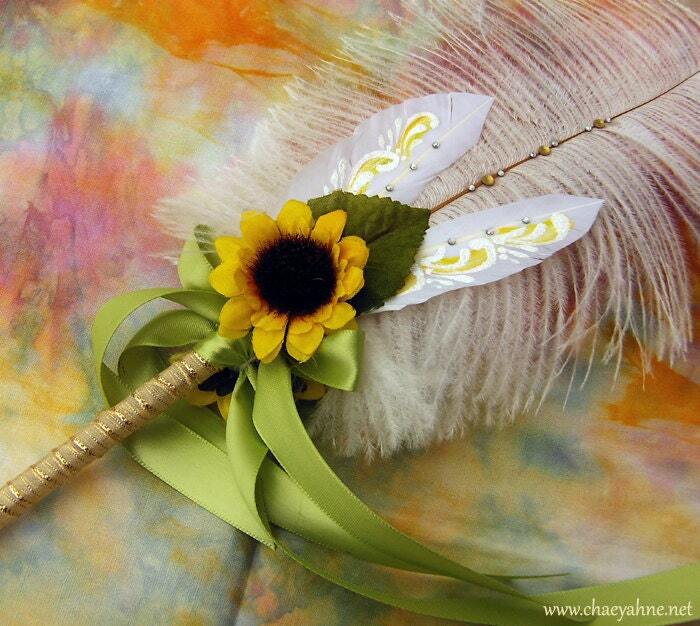 The pen shaft is wrapped in golden banded ribbon, with a pretty satin spring green bow accent. 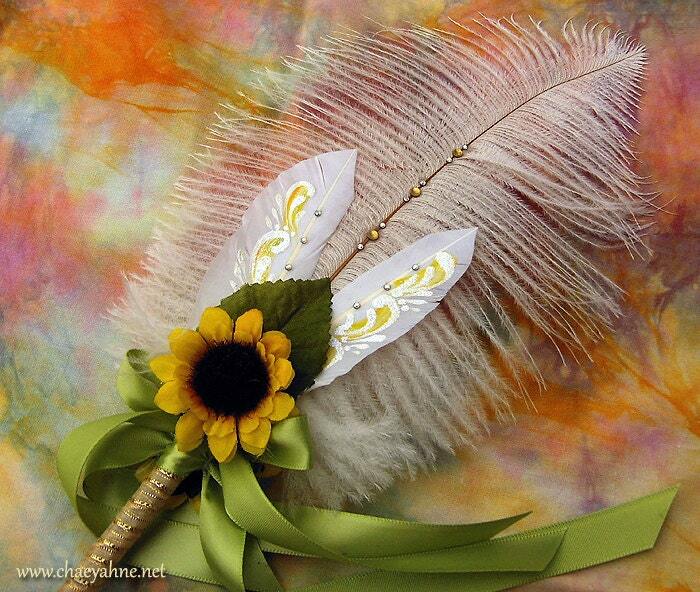 There are crystal & amber handset crystals on the ostrich plume & tiny crystals set onto the goose feathering. 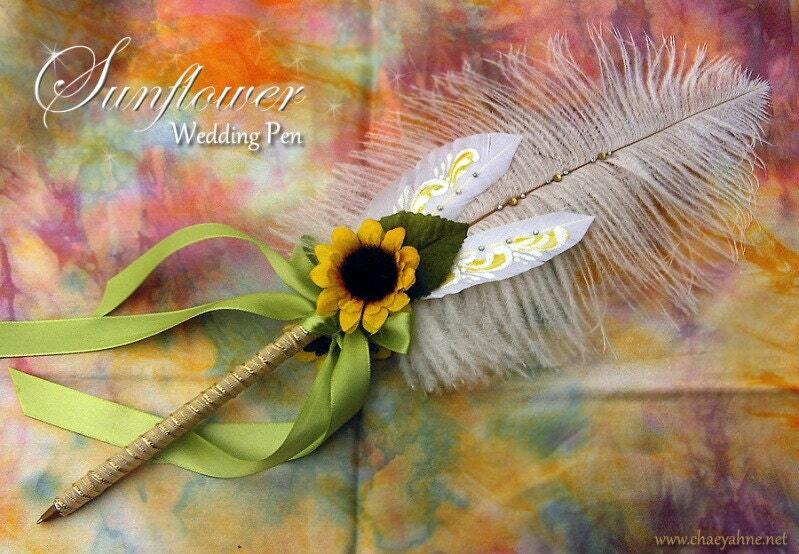 The focal of this pen is of course the lovely golden sunflowers shown on both the front & back. It is one of my favorites! This is a ballpoint wedding pen & writes in black ink. ALL of my pens whether for weddings or otherwise are totally handcrafted with a minuet attention to detail by one person, myself. I wish to always produce for you the most beautiful, well-made, and one-of-a-kind pens in the market today...anywhere...worldwide. It is my love & passion, this work & talent I have been gifted with. There are NO mass productions here at my STudio on the Pond, and quality is always the main focus. All of my pens come tissue wrapped, and complete with my CSD studio certificate of authenticity.